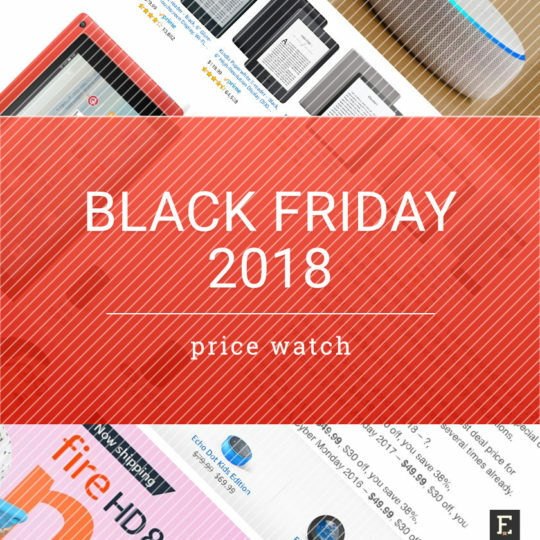 Black Friday 2018 price watch – what Kindle, Fire, and Echo deals can we expect? Here is the ultimate round-up of the best Black Friday & Cyber Monday 2018 deals on Kindle, Fire, Alexa, and iPad. 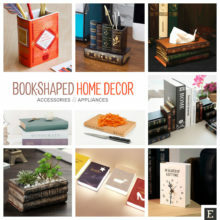 From Amazon, eBay, Best Buy, Etsy, and other online stores. We’ve compared price cuts in the previous shopping events to come up with price expectations for Black Friday 2018. Black Friday 2018 deals started appearing already at the beginning of November, and throughout the month we can observe bigger and better deals for thousands of products. Instead of waiting for the Thanksgiving weekend, it’s good to make a wishlist and start tracking prices for products you want to buy. It will help you avoid buying something you don’t need (but you’ve added it to the basket because “hey, it’s Cyber Monday, and everyone else is buying it”). It will also help you buy products that won’t be offered at lowered prices during Black Friday & Cyber Monday. The rule here is simple: if a device gets a price cut, don’t expect the deal on accessory. We track Black Friday deals on Kindle e-readers and other Amazon devices since 2012, and one pattern that repeats every year refers to prices of case covers. 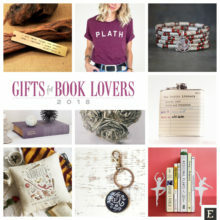 Several producers offer lower prices on their Kindle, Fire, or iPad cases before Black Friday, to gather more reviews, and appear higher in search results on Amazon. But when the Turkey 5 comes, the prices go back to the regular level – or get even higher. What prices can we expect during Black Friday 2018? Is the Black Friday price of your favorite product the lowest possible? How does it compare to what was offered last year? The price check you’ll see below covers most popular devices and services Amazon is going to offer at reduced prices during Black Friday and Cyber Monday 2018 Deals weekend. avoid disappointment after discovering a better deal on the product you have bought. According to Amazon, Cyber Monday 2017 was the single biggest shopping day ever. The company sold thousands of items and saw 500% increase in Cyber Monday sales year over year. Echo Dot and Amazon Fire TV Stick were the best-selling Amazon devices. Having in mind Amazon has introduced a bunch of exciting 2018 Alexa devices, it’s where the attention of customers will shift during this year’s Turkey 5. In the list below, you will see past deal prices of the most popular devices on Amazon, including Kindle e-readers, Fire tablets, and Echo smart speakers. 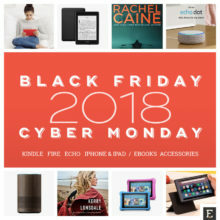 What Kindle deals can we see during Black Friday 2018? And what prices would be low enough to consider these deals attractive? Let’s look at the Kindle models through their deal history. We will observe both the prices and availability. After analyzing price drops for Black Friday vs. Prime Day, we can say that deals on Kindle e-readers are higher for Prime members in July. 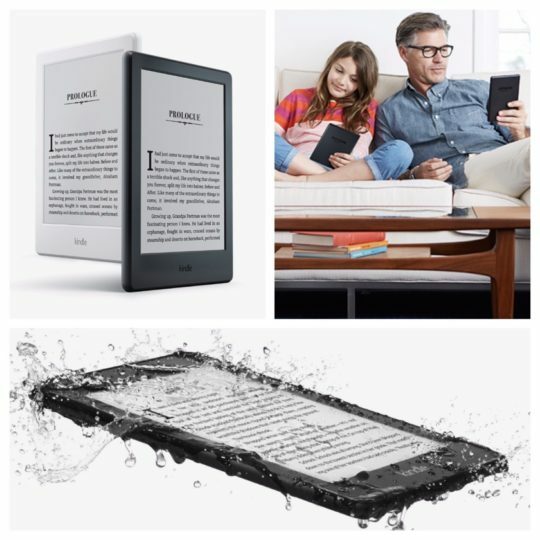 The most exciting Kindle this shopping season is definitely the new Kindle Paperwhite, which sports a slimmer waterproof design, is ready to play audiobooks via connected headphones, and comes in two options: 8 and 32 GB. The 8th-generation Kindle was introduced on July 7, 2016. The launch price was set at $79.99 for the variant with special offers. We will treat it as a reference for savings calculations. As you will see in the following list, the lowest deal price for Kindle 8 is $49.99, and it’s been offered several times already. Prime Day 2016 – $49.99, $30 off, you save 38%. Our prediction for Black Friday 2018 price of Kindle 8: $39.99 – $49.99. The newest 4th-generation Kindle Paperwhite was announced on October 16, and is the most exciting Kindle in years. It finally answers all the wishes Kindle users had. Besides the Voyage-like look, the e-reader is waterproof (IPX8 rating), can play Audible audiobooks via the Bluetooth module, and has bigger internal memory (8 or 32 GB to choose from). The regular price of the entry-level version (Wi-Fi and special offers) is $129.99, which is $10 more than the corresponding version of the 3rd-generation Paperwhite. As the Paperwhite is the hot new model, don’t expect deep price cuts – Kindle addicts will be eager to get it as soon as possible, and even the $10 discount is enough to make them hit the “Buy” button. When the Kindle Paperwhite 3 was launched in June 2015 for $119, its price was lowered to $99.99 for Black Friday 2015. And $20 is the level of saving on the 4th-generation Paperwhite you can expect during Black Friday and Cyber Monday 2018. Prime Day 2016 – $89.99, $30 off, you save 25%. Our prediction for Black Friday 2018 price of Kindle Paperwhite 4 (2018 release): $109.99. 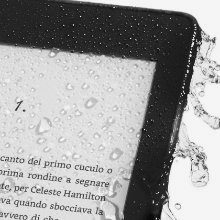 The newest Kindle Paperwhite is finally waterproof and Audible-ready. It sports the new flush-front design, and comes in two storage options: 8 and 32 GB. 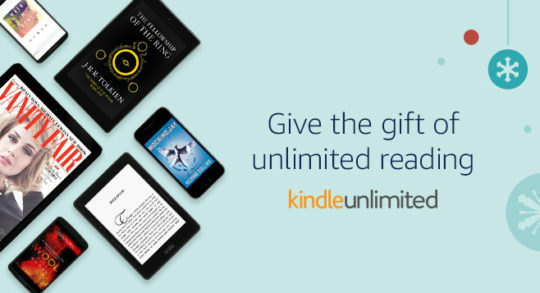 For a limited time, you can get the e-reader with six months of Kindle Unlimited for free. Expected deal: We hope the price of the 2018 Paperwhite will be dropped by $20, to $109.99, from $129.99. Kindle Voyage was released in October 2014. It was the most advanced and thinnest Kindle at that time – the first e-reader with 300 ppi display resolution. The device was rarely offered at reduced prices. As you will see in the list below, the time to get the highest discount on the Voyage was Prime Day. Both in 2016 and 2017 its price was reduced to $149.99. As Kindle Voyage was removed from the offer a few months ago, you won’t be able to buy the new item during Black Friday 2018. The only thing you can do – if you desperately want to get this device – is to get the refurbished or pre-owned one. Prime Day 2016 – $149.99, $50 off, you save 25%. Our prediction for Black Friday 2018 price of Kindle Voyage: no deal. The 2nd-generation Kindle Oasis was introduced in October 2017. The previous-generation model was offered for one year only. Prime Day 2017 was the only moment when the price of Kindle Oasis (2016 model) was reduced – and it only applied to a version with 3G connectivity. The regular price of Kindle Oasis 2 is set at $249.99. If you are hunting for a price drop on the Oasis 2, you should wait for Prime Day rather than Cyber Monday. Having in mind the Kindle range is getting older, Amazon would want to keep people buying it by offering deeper price cuts on more models. Maybe, this Black Friday we will see a real deal on the Kindle Oasis 2. Prime Day 2016 – no deal was offered. Our prediction for Black Friday 2018 price of Kindle Oasis: $249.99 for the version with 32 GB. The range of Fire tablets was refreshed in 2017. 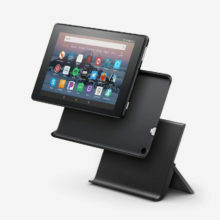 The new Fire HD 8 was released in October 2018, featuring 2 MP front camera, support for hands-free Alexa and 400 GB microSD card. During Prime Day 2017, only a month after releasing Fire 7 and Fire HD 8, both models got significant price cuts. The smaller one was discounted to the lowest price ever reached by an Amazon tablet – $29.99. Therefore, the newest Fire HD 8 – although released a few weeks ago – can also be offered at the lowest price ever. The most affordable Amazon Fire tablet released in 2017 sports a 7-inch display, and is thinner and lighter than its predecessor. It comes in two storage options (8 or 16 GB) and is offered in new bright, warm colors. It’s surprisingly solid, taking into consideration its price tag. The regular price of the 2017 Fire 7 is set at $49.99 for an entry-level 8 GB variant with special offers. It will be our reference point. Prime Day 2017 – $29.99, $20 off, you save 40%. Our prediction for Black Friday 2018 price of Amazon Fire 7: $29.99. The all-new medium-sized Amazon Fire HD 8 tablet is the most reasonable pick in the Fire range. Its 8-inch HD display, with a resolution of 1280 × 800 and 189 ppi pixel density is large and crisp enough to watch Prime Video movies for hours. At the same time, the new Fire HD 8 is now capable of handling 400 GB microSD cards, and is ready for hands-free Alexa – which opens a lot of new possibilities. The regular price is $79.99 for the variant with 16 GB and special offers. As we mentioned earlier, the fact that the device has just been released won’t affect the deal price. It should be at least as low as during Prime Day 2018, for the already previous-generation HD 8. Prime Day 2017 – $49.99, $30 off, you save 37%. Our prediction for Black Friday 2018 price of Amazon Fire HD 8 tablet: $49.99. 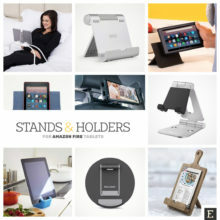 A clever accessory that consists of a back-shell case, multi-angle stand, and a charging dock. It will turn your Amazon Fire into an Alexa-enabled smart speaker providing audio and video responses. Expected deal: We should price cuts on the bundle Fire tablet + Charging Dock reaching 20%. The biggest tablet in Amazon’s Fire range was introduced in October 2017. The tablet offers a widescreen 1080p Full HD display (1920 × 1200 px, 224 ppi). Therefore, it can become a powerful entertainment machine for the entire family. Fire HD 10 is Amazon’s first tablet to provide hands-free Alexa support. 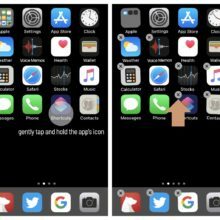 It means you can use it the same way as Echo speakers: just speak a command to play audiobooks, get weather, or make calls. There is no need to touch the screen to activate Alexa. The list price of the Fire HD 10 is $149.99 for the entry-level variant (32 GB of internal memory, special offers). Black Friday & Cyber Monday 2017 – $99.99, $50 off, you save 33%. 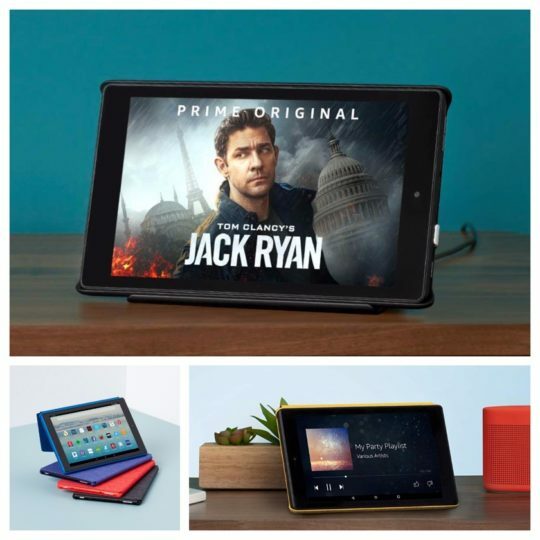 Our prediction for Black Friday 2018 price of Amazon Fire HD 10 tablet: $89.99 – $99.99. Smart speakers – and voice-operated devices in general – are on the rise and enjoy a two-digit growth year to year. Amazon will certainly continue to push sales of Echo range and other Alexa-operated devices. The company introduced a bunch of new Alexa-powered devices, naming only Echo Auto or Alexa-enabled AmazonBasics Microwave. Price cuts on smart speakers were not the highest on Black Friday so far, but we expect to change the trend. The reason is simple: if you buy one Echo device to test whether smart speakers are worth investing – and conclude they are – you’ll purchase the rest to get Echo in every room in your house. Echo Dot is the smallest device in Amazon’s range of Alexa-operated smart speakers. 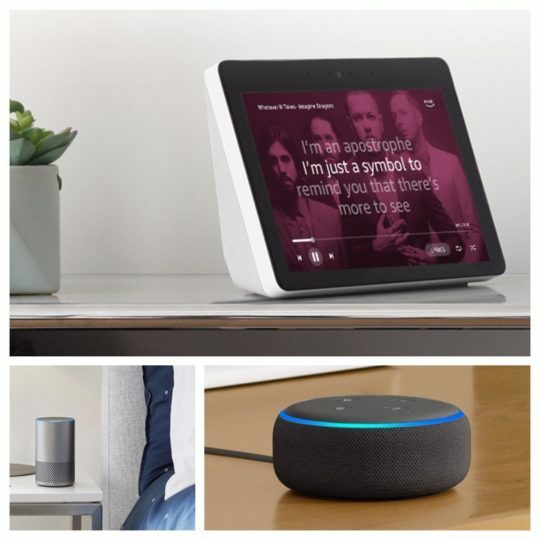 With the size and shape of a hockey puck, Amazon Echo Dot connects to external speakers to play music or Audible audiobooks, make calls, or control other smart home devices. It’s the most convenient way to bring Alexa to every room in your home. The launch of 3rd-generation Echo Dot is set for October 11, 2018. It offers improved sound and voice recognition, all in a new smoother design. The regular price is $49.99, but we expect this device to get the highest possible price cut, just like a year ago. Amazon would want customers to buy as much Echo Dots as possible so that they could get interested in the rest of the Echo family. Prime Day 2017 – $34.99, $15 off, you save 30%. Our prediction for Black Friday 2018 price of 3rd-generation Echo Dot: $29.99. The 2nd-generation Amazon Echo was launched in October 2017. The device is available in a range of fashionable designs including fabrics and wood veneers. The device features enhanced speakers that support Dolby processing for improved, clear sound. To hear your voice from any spot in the room (even if the music is playing), Echo is equipped with as much as seven microphones supported with beamforming technology. The regular price of the 2nd-generation Amazon Echo is set at $99.99. 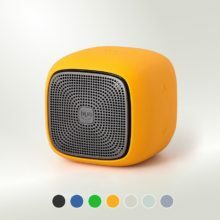 As this device is already quite old, and there is a lot of other products from Echo family to choose from, we expect the price to drop to the lowest level ever. Prime Day 2017 – $89.99, $10 off, you save 11%. Our prediction for Black Friday 2018 price of 2nd-generation Amazon Echo: $59.99. Introduced in June 2017, Echo Show is an attention-catching smart speaker with a large 7-inch touchscreen display and powerful, room-filling Dolby speakers. The large display will let you watch Amazon Video content, see music lyrics, security cameras, photos, or weather forecasts. The 2nd-generation Echo Show starts shipping on October 11, 2018. Compared to the older model, the new Echo Show sports a larger 10.1-inch HD 1280 × 800 display, making it a perfect kitchen companion. It also features premium speakers with Dolby processing, as well as 5 MP camera. The regular price of the newest Amazon Echo Show 10 (2018) is $229.99. Prime Day 2017 – no price cut was offered. Echo Show 10 (2nd-generation) – $199.99. Deals offered on Amazon’s popular digital subscription are stable and quite predictable. The conditions are rarely different from the most common deal on pre-paid subscription plans. 24 months – $143.85 $239.76 – you save 40%. It’s probable we will see the same or similar deal revealed for Black Friday 2018. However, a different kind of Kindle Unlimited deal has been revealed in September 2018, in which you could grab the 6-month subscription plan for half a price. The deal is much better than what was earlier offered in the three-plan deal. It’s possible Amazon would run something similar as a one-day deal either during Black Friday or Cyber Monday 2018. The Audible deal offered during Cyber Monday 2017 was available to all Amazon customers. New Audible subscribers could save as much as 65%, for three months. Instead of $14.95 they were paying $4.95 in the deal period. The same Audible deal was offered for Prime members during prime Day 2018 – get first three months of Audible membership for $4.95 a month. Amazon is also ready to offer price cuts on pre-paid long-time subscriptions. For instance, there was an Audible deal in November 2017 to celebrate the 10th anniversary of the Kindle. It enabled users to save 33% on an annual subscription fee. The price was slashed by $50, to $99.50 ($149.50). Having in mind that since last year Audible is facing a stronger competition (Google Play entered the game, Apple renewed the book and audiobook ecosystem), we may see the deal for a longer-term subscription. A 6-month Audible membership for half a price is possible during Black Friday 2018. Below, you will find highlights of the upcoming shopping event. 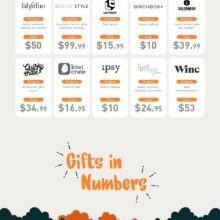 When is Cyber Monday 2018? Below, for your reference we are showing a round-up of the most interesting deals Amazon has offered in 2017. 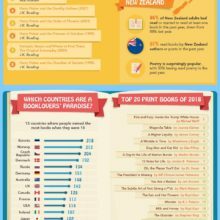 The world’s top 10 most read authors have sold over 13 billion copies of their works combined. 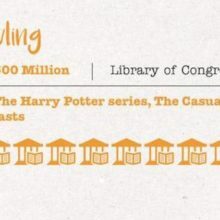 Have you ever tried to imagine just how many that is? 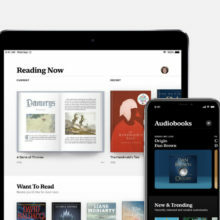 Apple Books app, launched together with iOS 12, is meant to rediscover the joy of reading on the iPhone and iPad. But others did it before. 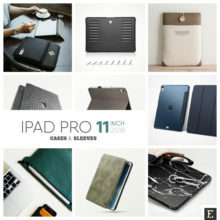 What about personalized cases, unique sleeves and bags, popular digital subscriptions, clever stands, or travel accessories?